Make a big impression with this 32ft obstacle course bouncy castle . Make your child the captain of the ship for the day with all his or her friends. This inflatable is suitable for children up to the age of 14. This unit is suitable for large gardens, school fairs, fetes and fund raisers. Please click HERE for packages. The Bouncy Castle is 32FT X 11FT although ensue you have at least 35FT X 14FT to accommodate the unit safely . 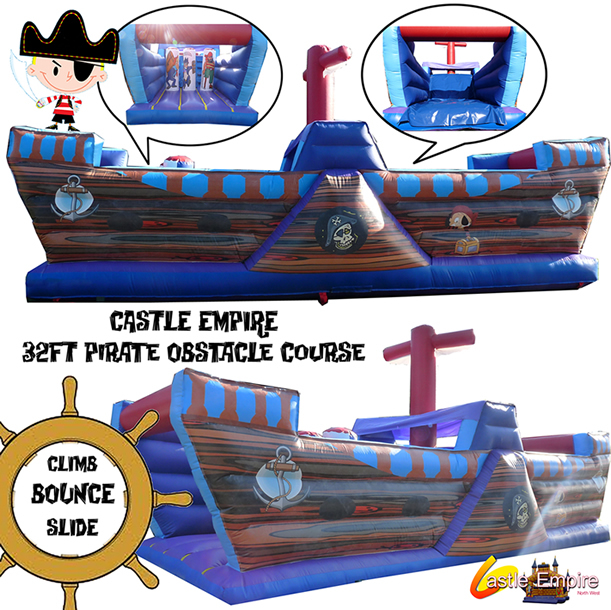 Please note you are booking the 32ft obstacle course from Castle Empire Bouncy Castle Hire Manchester.